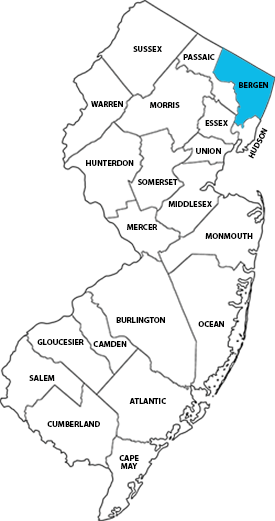 Bergen County is the most populous county in the U.S. state of New Jersey. As of 2015, Bergen County’s Census-estimated population was 938,506. Bergen County is one of the wealthiest counties in the United States, with a median household income of $84,677 in 2014. The county hosts an extensive park system totaling nearly 9,000 acres (3,600 ha).